This section contains links to relevant sites pertaining to reparations thought, advocacy and activism. The Bernie Grant Archives contain the most voluminous single source for those interested in understanding the history of reparations thought, advocacy and activism in the UK. 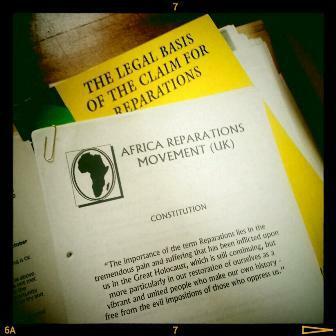 The Bernie Grant archives contain hundreds of documents in over 348 files pertaining to the development, operations, national and international work programme of the African Reparations Movement (ARM) a reparations organisation chaired by the late Bernie Grant MP which was in operation between 1993 and 1999.